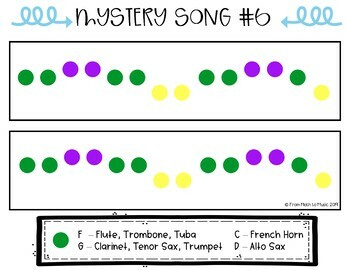 Beginning Band students love to play games, too! 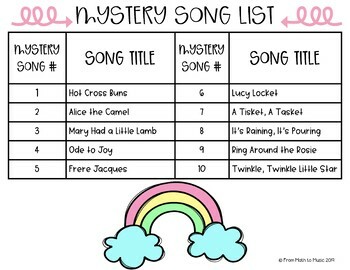 Mystery songs are a great way to get your students to improve their listening skills and to recognize patterns in music. 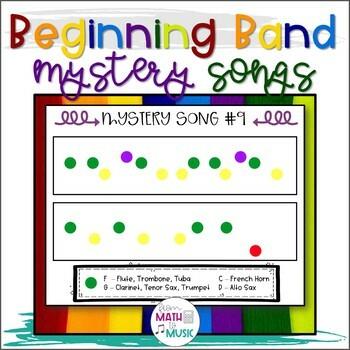 You can use Beginning Band Mystery Songs with the whole class, split students up into small groups or even use in centers. 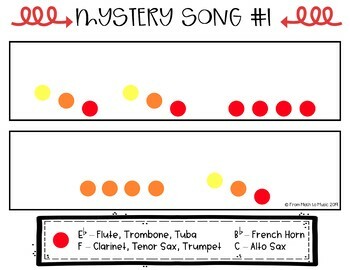 I'd love to get your feedback on this resource! Please rate this product and follow me for freebies and product updates.